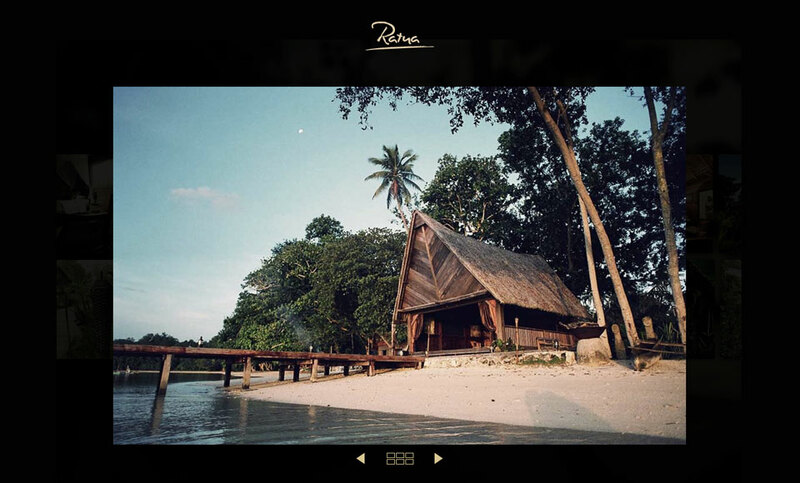 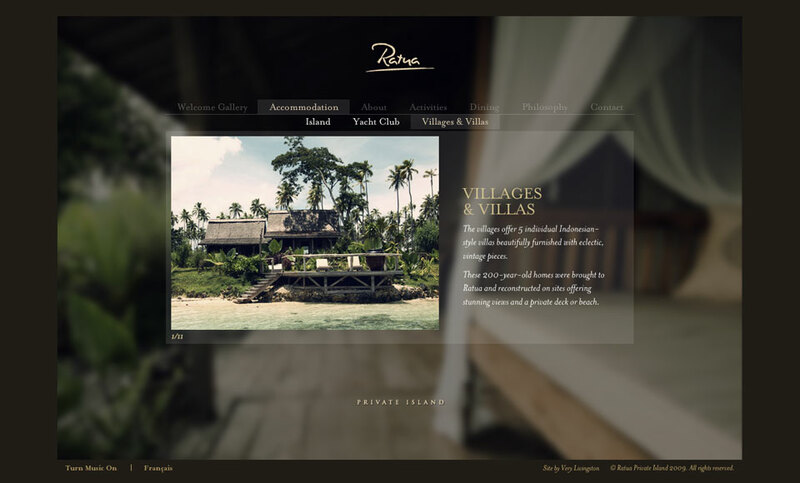 Ratua Private Island is a new and exciting client to arrive in the Very Livingston studio. 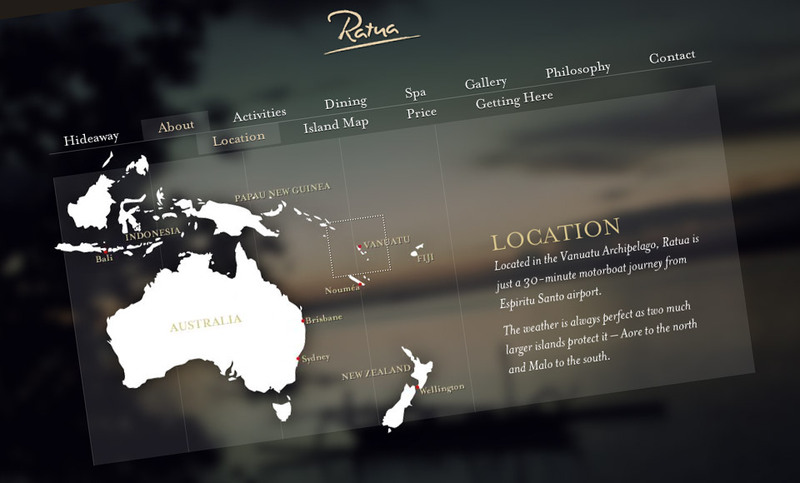 The island located in Vanuatu has been the private retreat of a French billionaire for a number of years, and now the intention is to open the island up to a few lucky (and very wealthy) people. 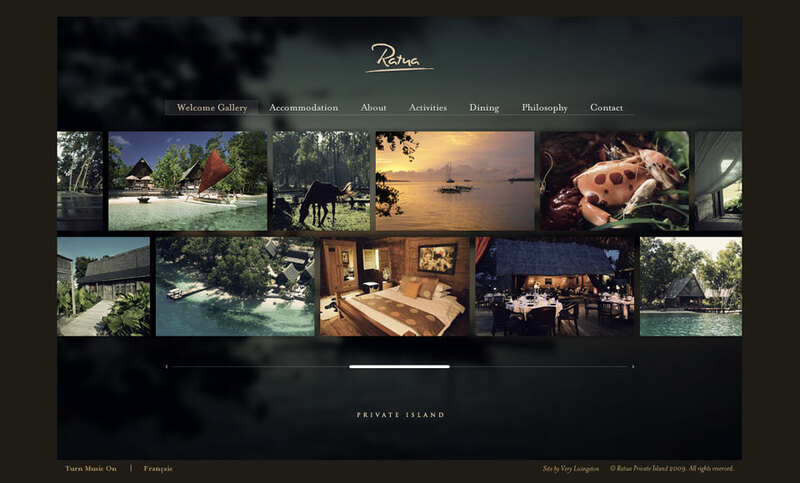 The challenge for us was to create an online presence which reflected the premium level of luxury and quality that the exclusive island resort offers. 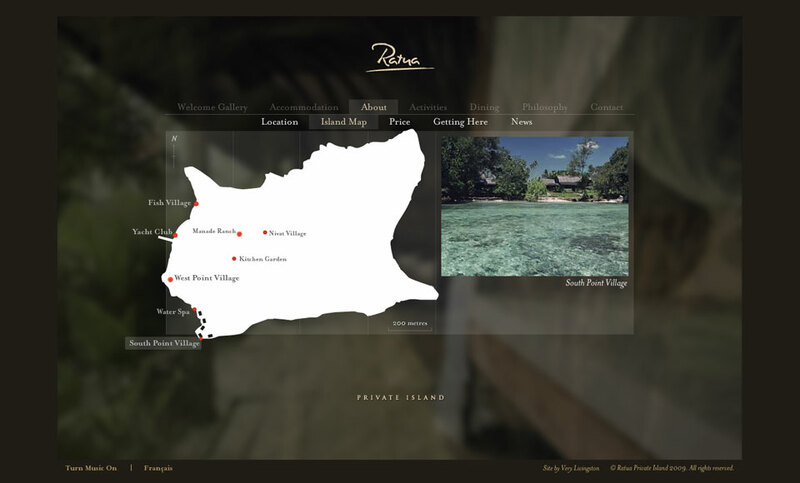 Features include image gallery with ability to send custom html emails, an interactive map of the island and multiple languages.